As we head into the cooler months, I am reminded how hard it can be to shop for the holidays, from birthdays to Christmas. This seems to go for most ages, and it’s nice to at least find something useful. We recently discovered MyGiftStop, which has stuff for the whole family, from adults to children, shoes to watches. So not only are there lots of great gift ideas for adults, but they have children’s items too, including kid’s watches. I picked out the quart time-teaching watch with a pink rubber strap. 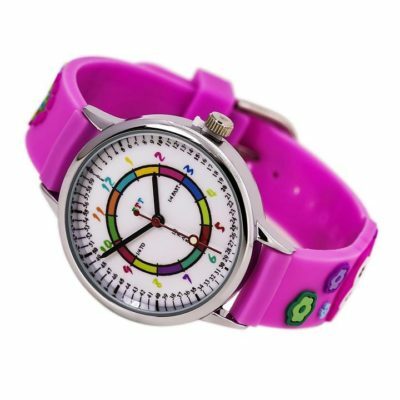 This watch is not only adorable, but it helps kids learn how to tell time on their own, which is such a useful tool to have. 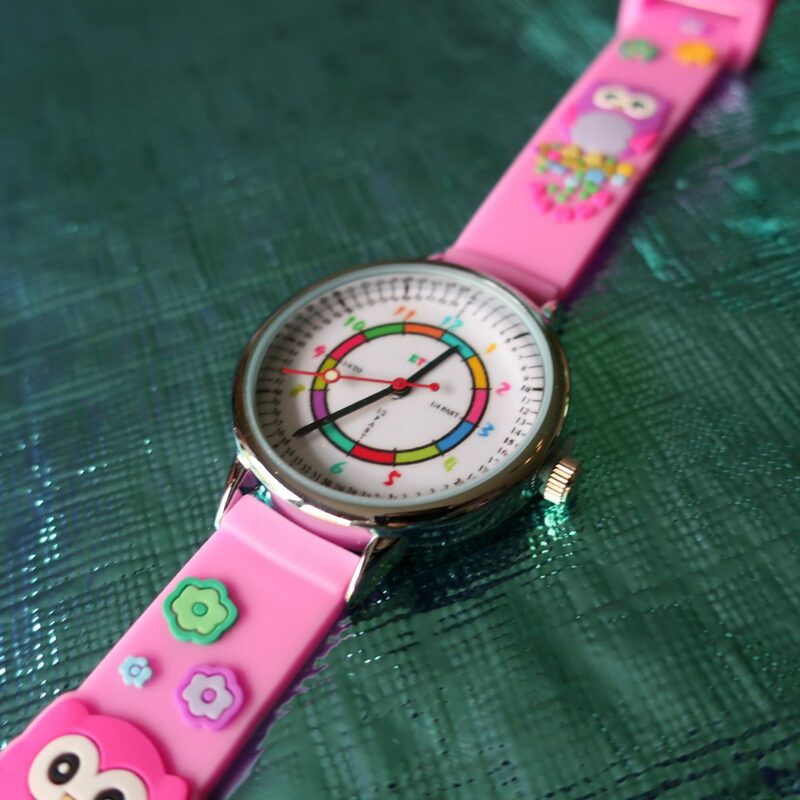 I love the rubber strap, which is comfortable for kids and is easy to keep clean. The rubber is soft and bendable, and fits my daughter’s wrist nicely. You could easily wipe the straps clean and not have to worry about about it getting wet or dirty. I like that they can enjoy the watch without having to be concerned about getting something on straps that might stain it or so on. I love finding gifts for kids that they can enjoy but are also useful. By getting them a watch, they can easily learn to tell time and also feel special knowing that they have their very own watch. I find that this gets used a lot, instead of my daughter having to ask an adult what time it is. There are lots of great styles for kids at My Gift Stop. It can be so tough to find things that kids can use, other than the typical toys or clothes, and these watches have an immense educational value. This makes a great holiday or special occasion gift – be sure to use the coupon code below! Visit My Gift Stop here. 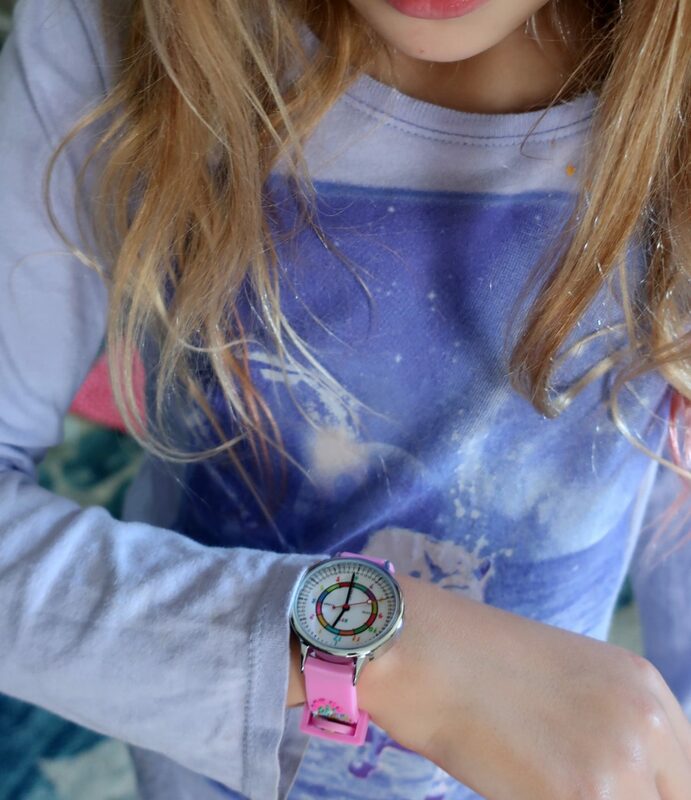 Use code ANATIONOFMOMS3 for 20% off your kid’s watch purchase at My Gift Stop! Check out MyGiftStop on Dealspotr here. 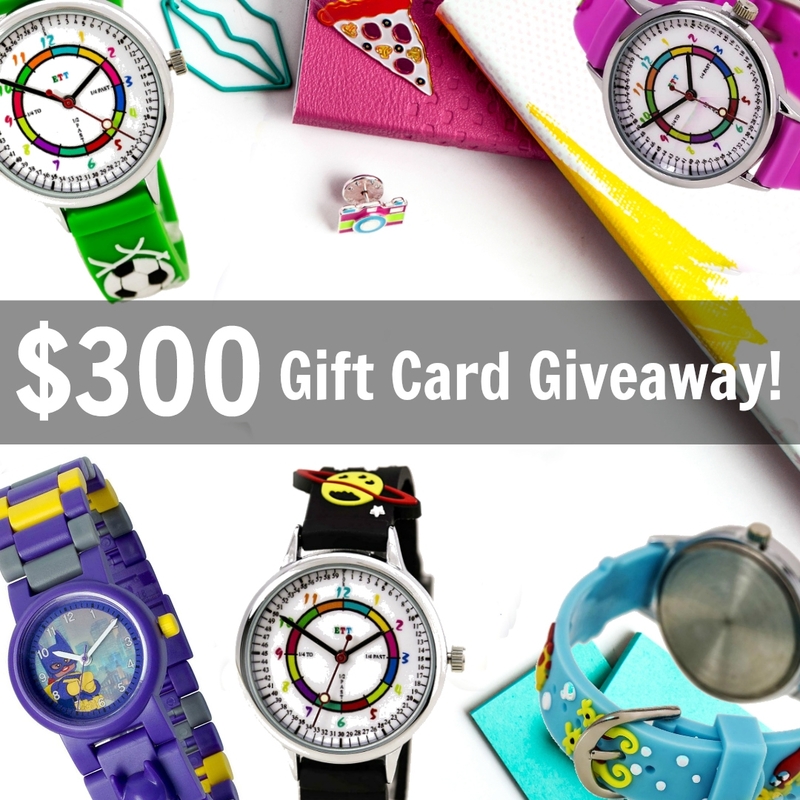 For a chance to win a $300 Gift Card to My Gift Stop, click the link below to enter! My youngest has been asking for a watch for a while now! I am going to head over and get him one for Christmas! My son asked for a watch for his Birthday and I will check out this site this morning to see if they have one for him. As for the one in the picture I love the color and the Owl on it. In fact I wouldn’t mind having it for myself. I love the watch. I am big about children learning both types of telling time. You never know what situation you might find yourself in. I love the colors on this watch. It definitely is fun for kids to have. I think I would actually like it for myself. It is so creative. Anything with bright colors is just fun to wear. That looks like a great watch! I wish I had one like that when I was little girl! Its so stylish and pretty ! Such a cool watch! I have to look into getting this watch for my niece. It would be perfect for her. These are all such cute watches! I just gave my grandson a fitness tracking watch for his birthday and he loves it. These are great gift ideas. What an awesome looking watch I absolutely love the bright colours of it! It looks like it would help in the teaching of telling the time in some ways as well. My kids both have watches and love them. I think it’s important for kids to learn how to tell time on a regular, analog watch. Ohh, this is such a nice and cute watch. My god daughter will be celebrating her birthday next month and reading this make me have an idea on what to give her. Thanks! I was thinking to find something beautiful and at the same time useful as Christmas gift! I am sure that my kid will love the idea of receiving a watch as a gift! My girls would love a watch like this, so pretty and colourful. I will check Easy Time Teller now – the perfect gift for Christmas! The pink rubber strap is really cute with some cute flowers and characters on it. Kids should start wearing watches as soon as possible that way they can start to read time and be punctual for any appoinment. My husband is OBSESSED with watches and wants us to get our unborn son one before he is born – then my husband will wear it for 18 or 21 years and give it to our son when he’s old enough – I love the idea however I have a feeling my husband will, KEEP IT!LOL! What a cute watch. I’m sure my niece and nephew will love that. This is such a cute watch! I think my daughter would absolutely love it! It would be a really great Christmas gift. What a cute girly girl gift. My nieces would love that. I mean who doesn’t love pink! A few more years and my son is ready for a watch just like this one. This is one of my favorite places to shop for gifts! They seriously have something for EVERYONE! Oh how cute! I am trying to teach my niece how to read the time/clock these days and it’s not easy to explain sometimes. I think this is perfect for her to have! I love that watch. My daughter would love it so much. One Christmas gift down…1000 more to go. Kids watches are always so sweet! I adore the one you presented in this post, I think it would be a great present for every girl. I love the idea of such a discount! When I was young, I loved such types of wrist watches and couldn’t get enough. This is so pretty. These are really cool watch my daughter will love it. Beautiful color too. Such a cool watch. I would love to gift it to my niece. I agree choosing gifts for kids is becoming more difficult these days. I love this watch, that’s a great way to teach kids how to tell time. I’m going to see what the boys watches look like, my sons been asking for a watch. those watch, my girls willl love it for sure… nice gift shop u hv.. great to hv 20% off for the watches.. 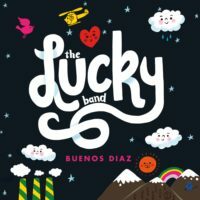 Stylish and colourful for kids! My kids tend to lose their watches everytime ‘though. Perfect timing! My daughter needs a watch and this one looks amazing. Will check the colors available, she loves green. I like the fact that she’ll be able to get use to this watch because it shows all the minutes. That way she won’t feel embarrassed if she can’t tell the time. She’ll love it! These are so cute! 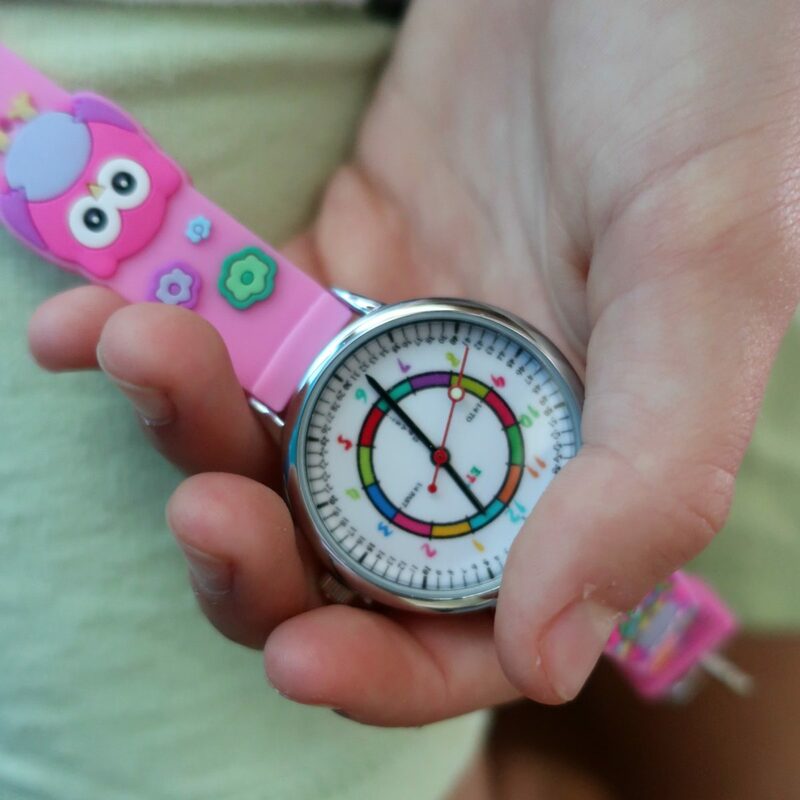 I think it’s great for kids to wear watches (and not just use phones to tell the time)! I love theses watch. My daughter loves wearing watch. It’s a great learning activity for her too. So cute! And what a great way to learn how to tell time on their own! So many cute colors to choose from. 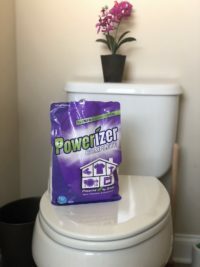 A great gift idea for the coming holiday season. Oh my goodness I love this! I’ve really been struggling with what to get my 7 year old daughter but she’s just starting to learn to tell time so this is perfect! What a cool looking watch! And I love that it helps kids learn as well. Great gift! 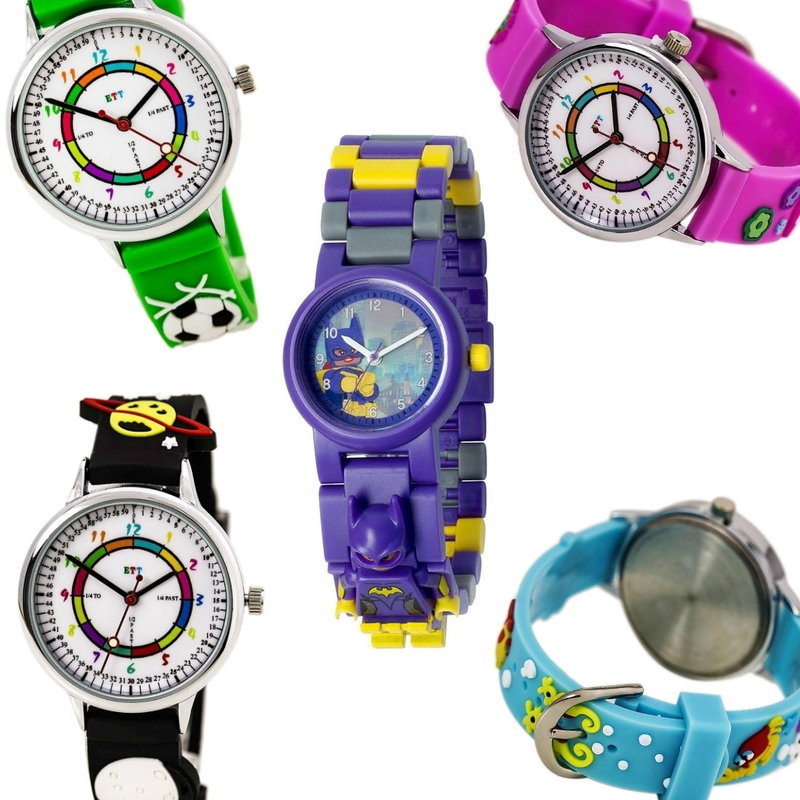 These are some really cute watches for the little ones. I know someone who would like to wear one of these.